Will the Backstreet Boys make an appearance with the University of Kentucky Wildcat Marching Band this season? 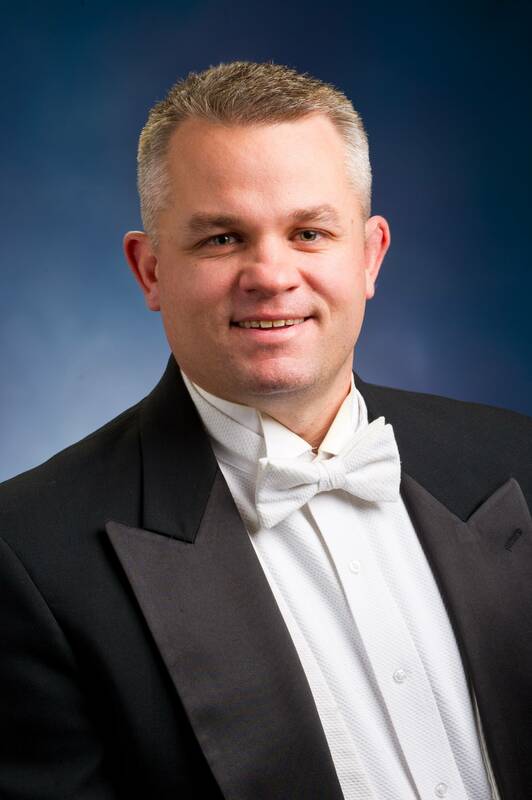 We go 10 questions with UK Band Director Scott-Lee Atchison as he preps for the 2015 season. 1) Tell us about yourself. Where you went to school? Where you've worked, how did you get to UK? I went to the University of North Texas for my Bachelors Degree, the University of Tennessee for my Masters where I was a Graduate Assistant for the Pride of the Southland, and my Doctorate (still in progress) from the University of Washington where I worked with Tim Salzman. Before coming to UK, I taught at Texas A & M - Commerce where I had the pleasure of working with an incredible mentor in Phil Clements. Mr. Clements was the long time director of the marching band at the University of Texas at Arlington where they successfully had a marching band without a football team. He also taught at the University of Miami before taking over as the Director of Bands at TAMU-Commerce. He has truly done some amazing things there at TAMUC and I was lucky to learn from him. After working at Commerce for four years I was ready for a new adventure at UK and my wife wanted to go back to school to get her doctorate. Also, I love the SEC and was born in Kentucky, so it was a natural fit for me. 2) What things are you working on now to be ready for this fall? Any insights into halftime shows that you're preparing? Will there be any major changes to the structure of the band, band camp, staff, etc? Even though band camp is a little over a week away, we are still doing some last second recruiting. I am constantly trying to get the word out about the opportunities and benefits of being in band in college. In short: you never stop recruiting. New plans and initiatives we are working on right now include partnering with the Be The Match Campaign, which is an awesome organization that helps find bone marrow doors and relies on large organizations (like college bands) to find viable donors. We are also working hard to do a better job from a marketing and social media standpoint. As far as halftime shows go, we are opening the season with a Foo Fighters show, then we will do a tribute to Backstreet Boys at our second game. We are hoping to have some of the members of the band as special guests. Kevin Richardson is from Lexington and a big UK fan, so we would like to pay tribute to him. In addition, we will be having an alumni band show, as well as a patriotic show for High School Band Day. We are also planing a movie classics show. It will be titled "Throwback Thursday" and we will perform it when we play Auburn on Thursday, October 15th. That show will feature a number of movie classics, one of which is Back to the Future since it is the 30th anniversary of that cinematic classic. Finally, we are planning on doing a tribute to James Bond in November (the new Bond movie premiers in November), which we plan on taking to Bands of America Grand Nationals. 3) The UK football team has had issues with consistency, have you seen that impact the band in any way? It can be tough, but despite losing seasons for the last 5 years, the band has continued to grow and improve. Having a winning football team certainly helps, but we are focused on being a great band and offering students a great experience, regardless of how the football team does. We are there to help the team and support the fans win or lose. 4) What type of style or attitude does the band exude under your leadership? I hope they exhibit a pride in their performance, and a commitment to university and public service. I also hope that they exhibit a commitment to one another. That is what I am trying to convey at least, but I will let others be the judge of that. 5) Bands across the country have begun to integrate all types of technology into halftime shows from lighting, to DJs, to sets, fireworks, videos and more. Will you look into integrating some of those elements into the band more so than in the past? What is your expected balance for the season when it comes to show design? I must be perfectly honest: I am a traditionalist. I like seeing bands march well, play well, and perform well written charts and effective drill. Also, we are in the SEC, which means that bands have a pretty traditional look and feel. I am not against lights, DJ's, and electronics, but those things can be difficult to pull off if you don't have the right resources. Also, we do a new show almost every week, so that can provide a bit of a challenge. Some groups are doing some pretty interesting and innovative stuff (like Michigan's light show last year and Western Carolina pretty much every year), which is great. That is not in our plans this year though at UK. 6) The UK band has been such an integral part of the UK football experience for so long, how is the relationship between the band and the athletics department and what more do you hope to build in terms of opportunity for your students? Our relationship is very good. They generally treat us very well and think of us as an important part of the game day experience. What we are continuing to work on together are ways to engage our audiences more to make the band, cheer team, dance team, etc., even more integral to the game day experience. You can always find ways to connect with more fans. That is our biggest initiative that we are working on together right now. 7) The UK Band alumni are very loyal. What is the relationship like with them currently and how do they interact with the band each year? 8) Directors are always known for some great one liners. What are some expected pre-game speech one liners we could potentially hear from you at practice or game? I am sure that the students here will tell you that I have some one-liners, but I can't think of any off the top of my head. I certainly don't plan them. As far as pregame speeches go, I don't try to get the group fired up. The last thing that we do before heading into the stadium is sing My Old Kentucky Home, which is a wonderful tradition. There is really nothing I can do to top that! 9) What is your biggest challenge as Director? What are the coming challenges of the band in general that you expect to deal with? Balancing work life and home life is always hard as an athletic band director. We could really use an Assistant Director of Athletic Bands here to help with Basketball Bands and Marching Band, so trying to balance everything that needs to be done and still be a husband and a human being can be tough. As far as challenges the band will face, I can't think of any besides what you may expect: Some days will be hot. Some days will be cold. Sometimes it will rain. Sometimes the team will be up or down by a lot and we will have to make sure we stay "in it." These are the challenges that every band faces every year in some way or another, which is one of the the things that I think makes being in band so valuable. We have to be the definition of pride and professionalism no matter what the circumstances, because we represent something much bigger than ourselves. You can't put a price tag on students learning those values. 10) What are you looking forward to the most as you head into this season? We have a lot to be excited about. We are finishing up a 150-million dollar renovation to the football stadium, Coach Stoops has done some great things here with changing the football team and the culture of the program, so that is really exciting to be a part of. Also, we have new uniforms this year which are a throwback to one of UK's old uniforms from many years ago. It is UK's 150th year anniversary, so there is a lot looking forward at the future while paying homage to the past. Finally, we have our performance at Bands of America that we are very excited about. Closing Remarks - Thank you for running the College Marching Bands site. College band has so much to offer. I for one never thought I would be in band in college as I was a Biology major who never planned on continuing after high school. I got talked into it and it changed my life. I got a great education, had some wonderful musical experiences, met my wife and some amazing people, and now I am fortunate enough to share that experience with others.